RUN is good for companies that don't have a dedicated team for payroll and human resources. Everything you need can be found within the platform, including recruiting, forms and templates. If you don't want to take the time to add employees to the system, you can simply enter their name and email and turn it over to them to enter their info. Employees have access to their check stubs and can adjust their taxes, etc. on their own, saving the employer time and overhead. I don't believe that the platform is ideal for companies who have zero experience with payroll, as I believe having a dedicated representative for questions is more beneficial in those scenarios, but anyone who has done it for a few years should find the platform ideal and user-friendly. It is a perfect if your a small to medium-sized company. As your company has more transactions, such as changing to a subscription model, Quickbooks does not scale quite as well. With the new revenue recognition GAAP rules, it would be difficult to properly record revenue if your product catalog is complex, such as selling bundles, warranties, discounts. From start to finish, it only take a few clicks and my payroll is processed and complete. The bundled reporting works awesome for us, but it has a wealth of reporting options and they are also easy to use. Something very small is not being able to type in certain areas. You have to select from the drop down instead of being able to type in the first few letters and have it selected. This would help streamline everything a bit more. I would like to see even more flexibility in reports creation. Being able to downgrade data to a smaller platform (i.e. QuickBooks Pro. etc). We will renew every year from here on. The company has been making a lot of improvements to the program that I enjoy such as scanning of backup to A/P, Journal Entry etc. QuickBooks is the right program for us at the moment. With QuickBooks Enterprise Solutions, you can manage and control your complex mid size business with tools and products used extensively across the marketplace. Training is simple and available both online and in person when needed with a Certified QuickBooks Enterprise Solutions ProAdvisor. A business solution to meet specific needs of a company can be implemented and customized at an significant savings when compared with most alternative multi user systems. QuickBooks and Xero Expert, Financial Advisor to business owners. QB is a good and reliable system. We probably should have explore the other modules rather that jump in to the conclusion that we needed a new ERP. easy to learn system, specially with some kind of support. Just like with any other system, things get lot easier if you have guidance to lead you in your search for answers. having said that, QB is very easy to use and very easy to teach. you wont spend much time memorizing where to click. If you're loading QuickBooks Enterprise Solutions onto a computer that you're going to directly log into, you should be able to do it yourself. If you are going to connect to a server through a network or remote connection, you should probably have a professional IT person set it up for you. 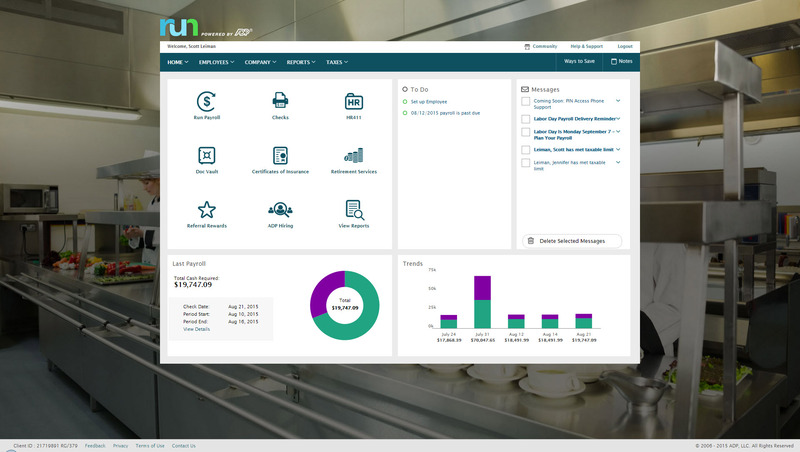 I have used both RUN by ADP and Xero Payroll and the ADP solution is a bit more robust and user-friendly. Peachtree, I tried it once and was overwhelmed. QuickBooks was way easier. But this was many years ago. It is not a fair rating because we did not invest in different modules to accommodate for business grow and complexity expansion.